News video and article content from PITTSBURGH’s KDKA. Julie Grant is a reporter, anchor and legal editor at KDKA. A team of researchers at the Rangos Research Center at UPMC Children’s Hospital of Pittsburgh is making history in the search for a diabetes cure. Surgeon and Director of Research, Dr. George Gittes, and his team have discovered a way to reprogram cells in the pancreas. 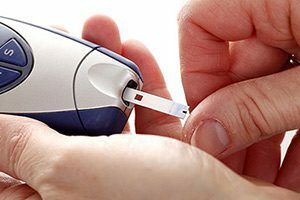 “Normally, the pancreas makes insulin, and unfortunately, with diabetes there’s a problem with that. So the idea would be, rather than giving someone cells that make insulin, which might be rejected as a foreign thing, we induce or tweak the existing cells in a diabetic patient in the pancreas, tweak them into turning into insulin cells,” said Dr. Gittes.They have engineered a safe virus that does gene therapy. “We infuse the viruses into the pancreatic tissue. It permeates through the pancreas, but it finds the cells that are the ones that have the capability to turn into insulin cells and it makes that happen,” said Dr. Gittes. They have pioneered a novel procedure — an infusion process using an endoscope that delivers the virus directly to the pancreas, so other cells in the body are not affected. “In a human, we could go through the mouth, down the stomach, to where the pancreas opening is, infuse the virus back up into the pancreas,” said Dr. Gittes. One infusion could mean long-term results that would allow a diabetic patient to regulate their own blood sugar, replacing the need for insulin injections. “The idea that you could do a single injection and see a permanent change is very exciting,” said Dr. Gittes. A clinical trial for gene therapy to treat diabetes has never been done. Dr. Gittes’ team appears to be closer than ever, already having success with both mice and monkeys. “Once we get a consistent result with the monkeys, we will then go to the FDA and present them with the trial we want to do in diabetic patients,” said Dr. Gittes. According to Dr. Gittes, they are pretty close to being ready for a clinical trial. This means closer, than perhaps ever before, to a cure. The Rangos Research Center at UPMC Children’s Hospital of Pittsburgh could be the place. Dr. Gittes could be the doctor who creates the cure.